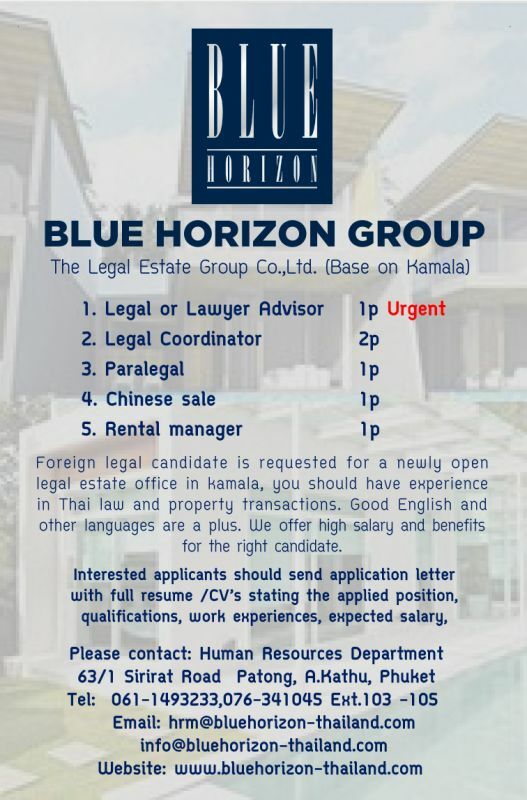 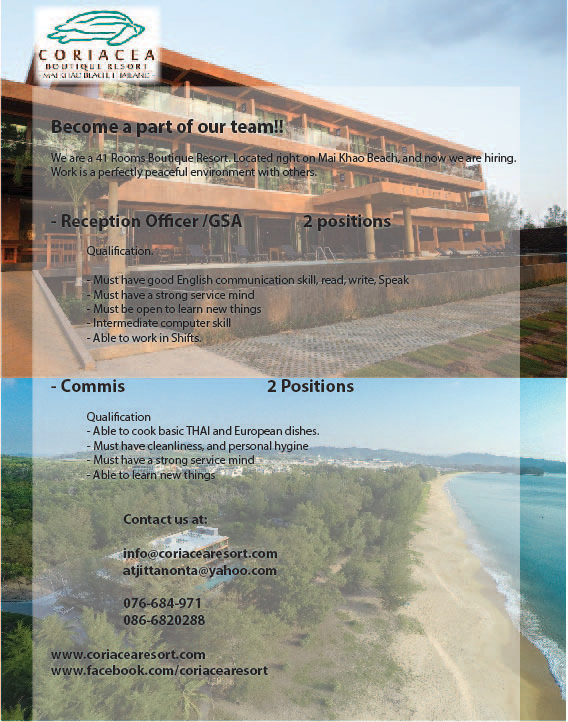 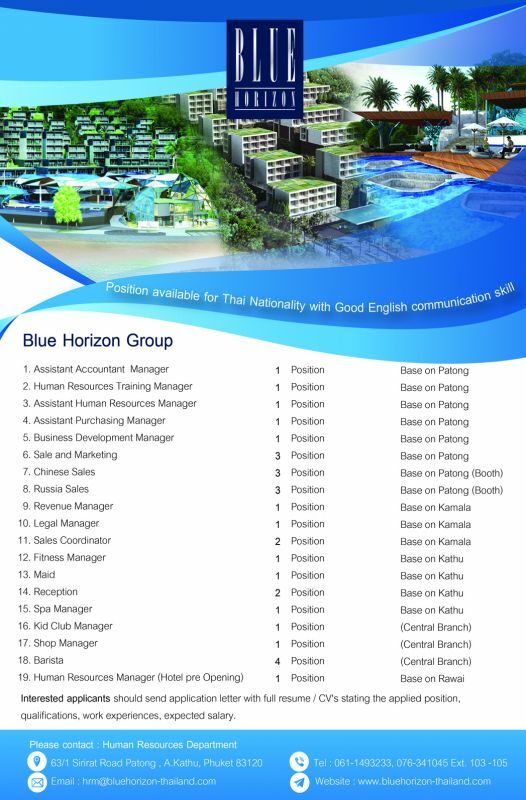 Jobs available Blue Horizon Group. 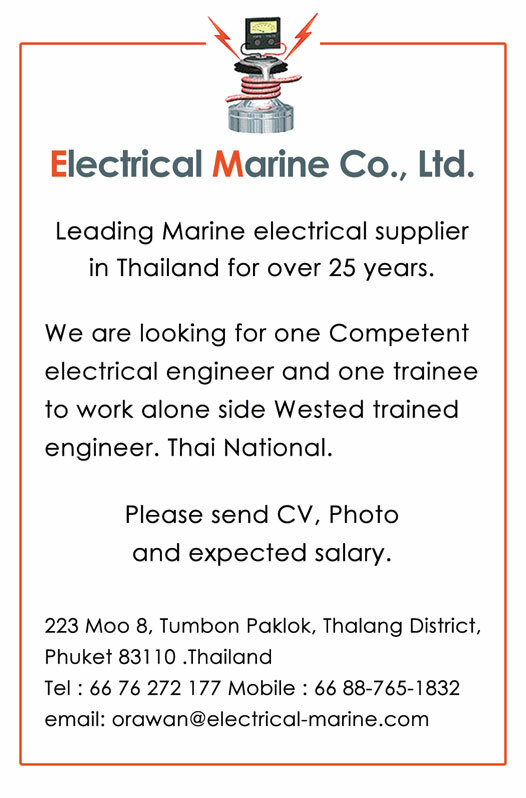 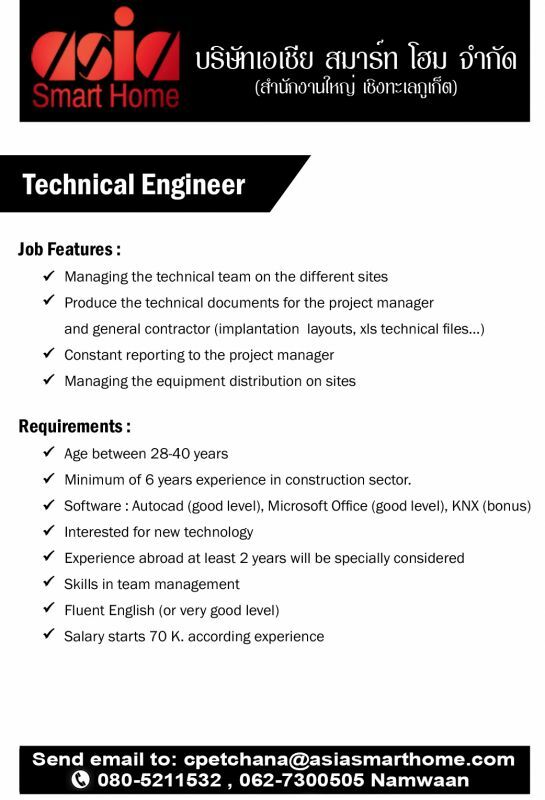 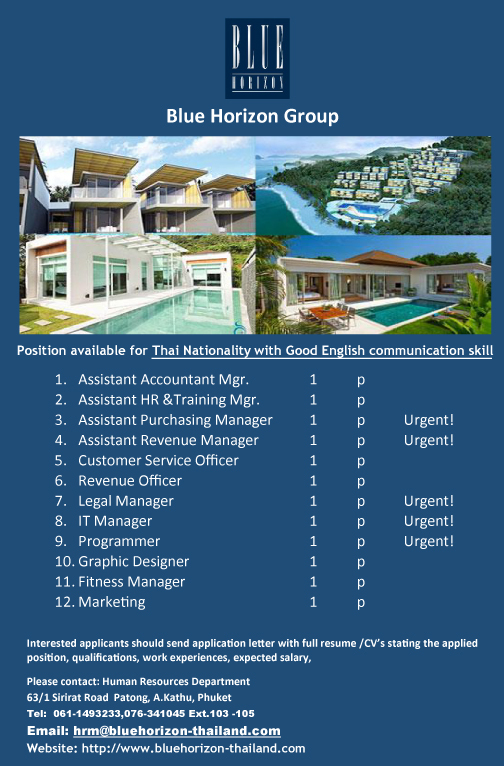 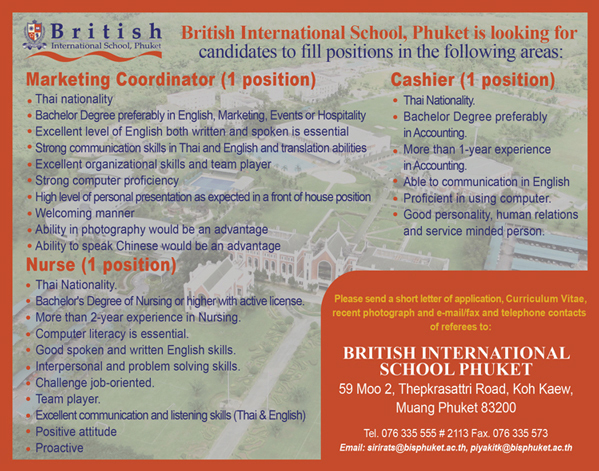 Thai Technician - Thai nationality - At least 2-3 years of working experience in the related field is required for this position. 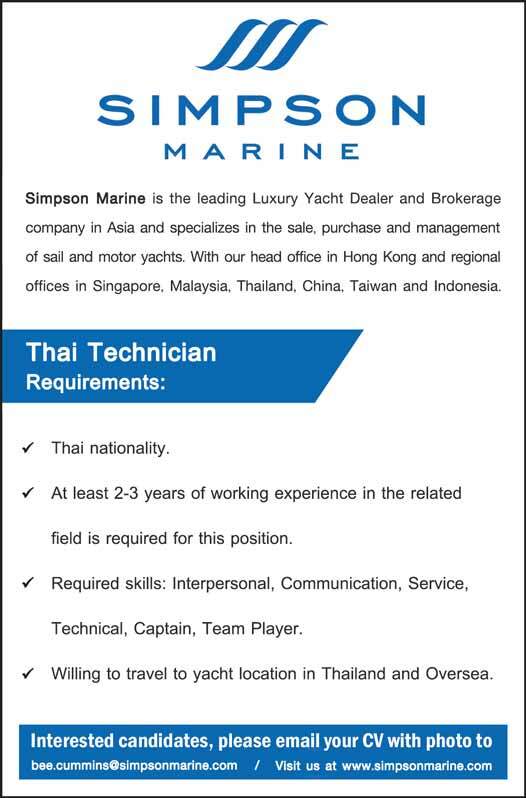 - Required skills: Interpersonal, Communication, Service, Technical, Captain, Team Player. 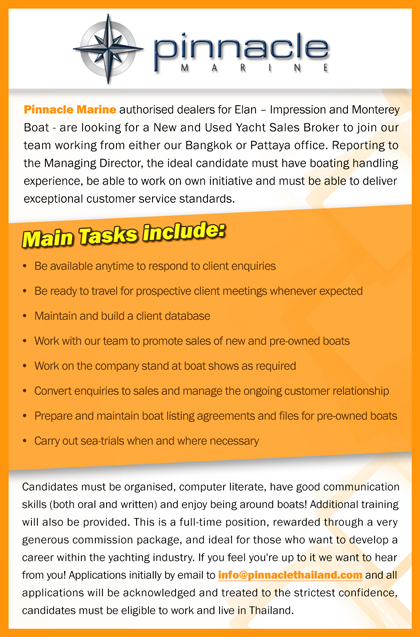 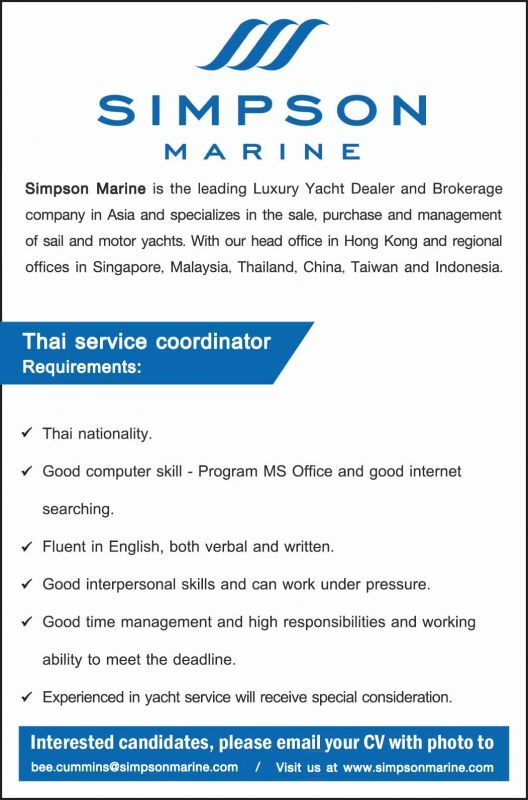 - Willing to travel to yacht location in Thailand and Oversea. 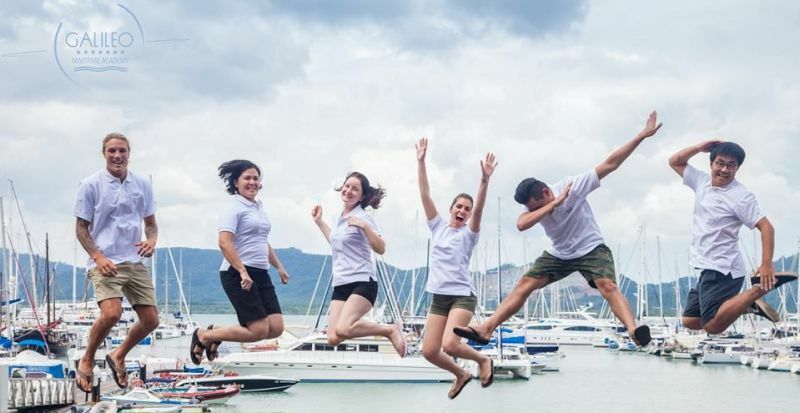 Looking for full time Fitness Trainer, experience in fitness, gym and other training techniques(Pilates, yoga, mat). 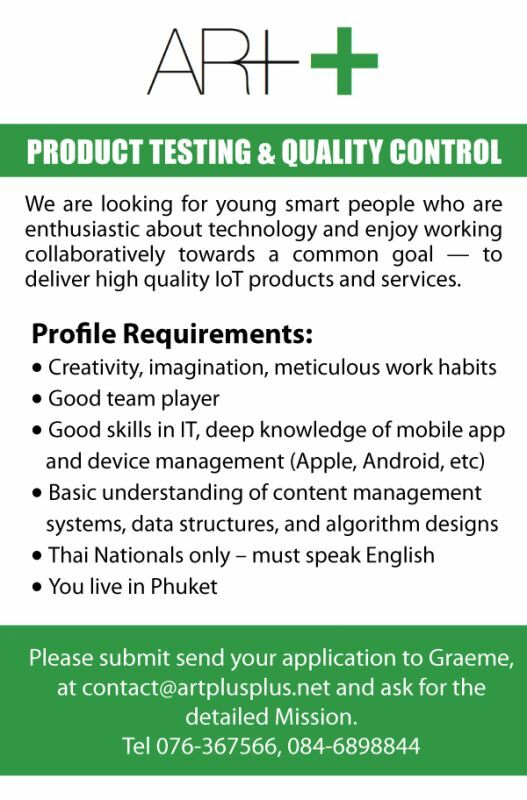 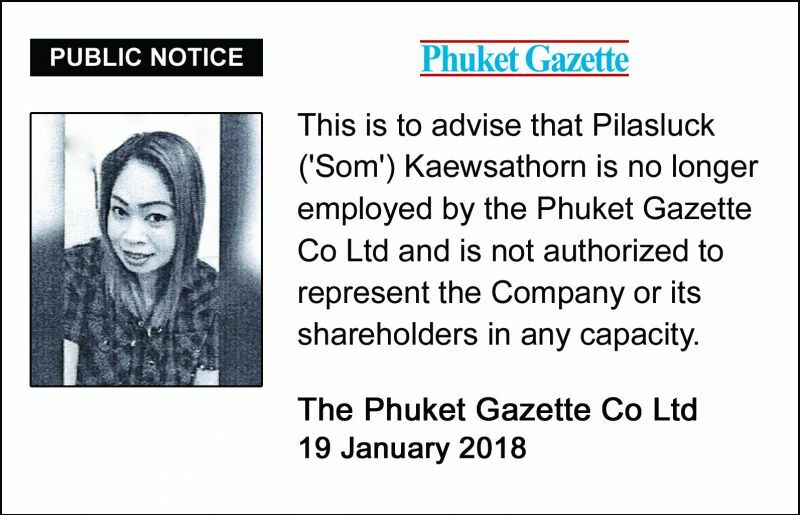 Good English.